2012 Jolt Productivity Award winner! Using HTML5, web developers can create standards-based browser applications with extraordinary richness and power, incorporating everything from drag-and-drop to native audio and video-all without any third-party plug-ins. Simply put, every web developer needs to master HTML5-and the sooner you do so, the greater advantage you'll have. 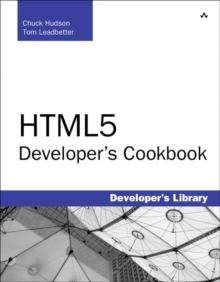 HTML5 Developer's Cookbook provides all the expert advice and proven code you need to start building production-quality HTML5 applications right now. 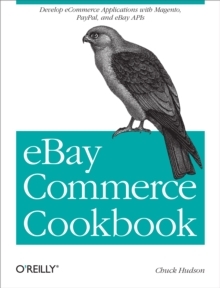 Authors Chuck Hudson and Tom Leadbetter present tested, modular recipes at beginner, intermediate, and advanced levels. Reflecting current standards, this book prioritizes HTML5 features with substantial browser support and identifies the level of browser support for each feature discussed. Coverage includes Understanding and using HTML5's new structural elements Using grouping, text-level, and redefined semantics Managing browser-handling in HTML5 Leveraging new CSS3 layout and style techniques Maximizing interactivity with HTML5 Web Forms Embedding audio and video with HTML5 Drawing with the canvas Controlling browser histories Integrating location awareness with the Geolocation API Implementing client side storage Working with local files Managing communication and threading Optimizing the HTML5 browser experience Integrating device data Turn to HTML5 Developer's Cookbook for expert answers, real solutions, and the code required to implement them. It's all you need to jumpstart any HTML5 project and create rich, high-value web applications your users will love.